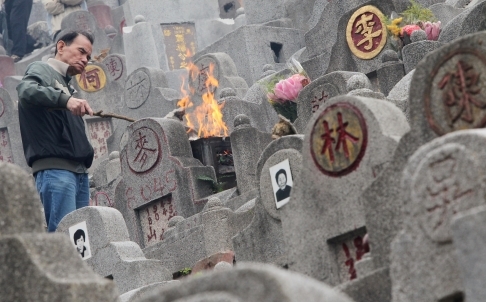 Hundreds of thousands of people paid tribute to the dead during the Ching Ming “grave-sweeping” festival on 4 March. 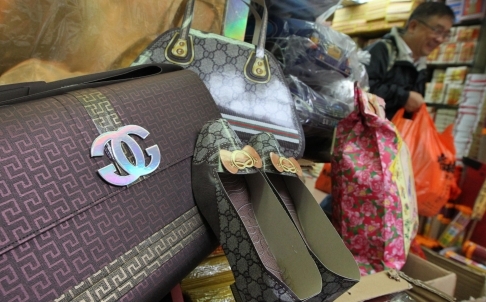 While paper Chanel handbags and Gucci shoes were still on sale, grave-sweepers were hard-pressed to find Louis Vuitton paper replicas this year as paper-offerings stores grew wary of laws against trademark infringements. 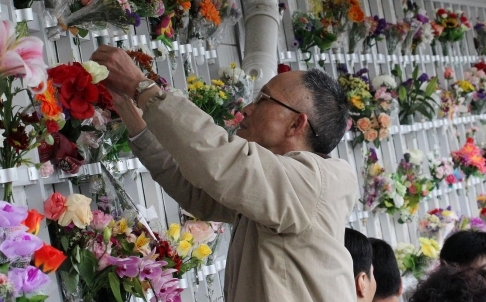 And at Sheung Shui, a green group was handing out fresh flowers including Chrysanthemums, a traditional symbol of death, in an effort to campaign against burning paper offerings altogether – to avoid hill fires, cut down on carbon emissions and save paper. 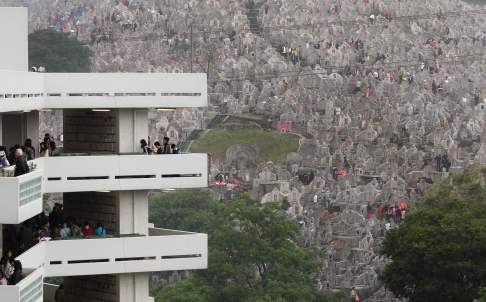 Not all the famous-name offerings spelled luxury though. Ancestors who liked fast food can get a McDonald’s package of chips, a pineapple and sweet taro pie, chicken nuggets, a Filet-O-Fish burger and a coke.